President of the Republic of Uzbekistan Shavkat Mirziyoyev, at the invitation of the President of the United States of America Donald Trump, will pay the first official visit to the US on May 15-17, 2018. During the talks, the parties are expected to discuss the current state and prospects of Uzbek-American cooperation, exchange views on the pressing international and regional issues. President Shavkat Mirziyoyev will also hold bilateral meetings in the US Congress, the Departments of Defense and State, as well as in the World Bank in Washington, DC. 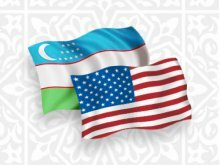 As a result of the talks the two sides anticipate to adopt a Joint Statement of Presidents entitled “Uzbekistan and the United States of America: Dawn of a New Era in Strategic Partnership”, sign a package of documents envisaging the consolidation of bilateral relations in diverse areas.